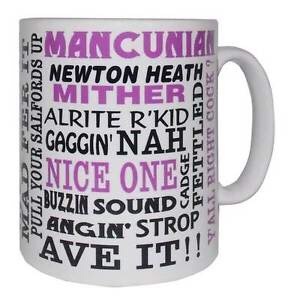 Following a pilot study in 2015, researchers at Manchester Met are launching a new website that allows people living in Greater Manchester to create their own dialect map of the region. Locals can visit the site and draw shapes representing where they think people speak differently from one another, name the dialects, describe them, and give examples of the sounds, words and grammar that they think characterise each area. This is a ‘perceptual dialectology’ project that asks non-experts to identify where local accents and dialects are spoken and to express their attitudes towards them. It helps linguists to understand the social and cultural meanings attached to the way people speak. Traditionally, people have been asked to draw dialect maps by hand but the launch of this new website marks a move towards a digital means of collecting data for this type of research, making it more accessible to all members of the local community. Maps submitted via the site will be used to create a sophisticated dialect map of Greater Manchester. It will show where distinctive dialect areas are perceived to exist, how these dialects are described, and which linguistic features are thought to characterise them. The final map will be displayed in an exhibition to take place in Summer 2017, organised as part of Manchester Met’s series of events promoting and celebrating local identities. The dialect map project is one of a series of research projects investigating the accents and dialects of Greater Manchester. The research seeks to help us understand the ways in which our use of language makes us who we are. The projects are being run by Dr Rob Drummond and Dr Erin Carrie, two sociolinguists at Manchester Metropolitan University who have an interest in the variation, perception, and attitudes surrounding Manchester English. Another part of the Manchester Voices project involves Erin and Rob visiting all ten boroughs of Greater Manchester between 27th August and 1st September to talk to people about the way they speak. Previous articleManchester Football Writing Festival Is Back!